Immerse yourself in the legacy of Chopin, the musical legend who grew up in Poland’s capital city. Last year, in May, for three cold, wintry days, I found myself stalking a man in Warsaw. I couldn’t help it; his presence was everywhere — on park benches, museums and in the churches. Perhaps, it is expected when you are a genius. 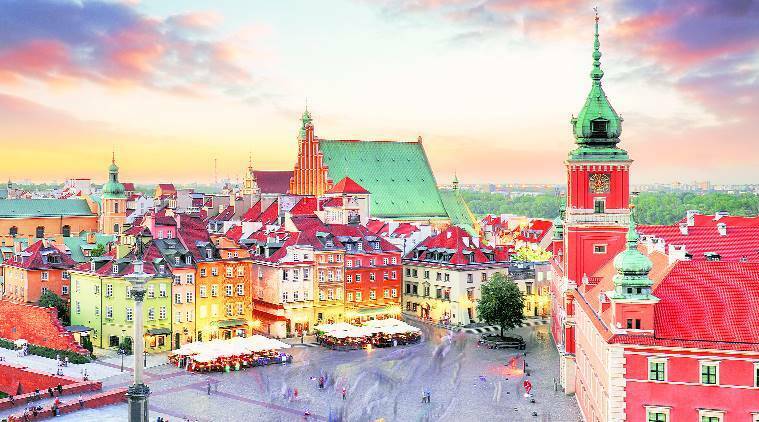 Warsaw, Poland’s capital, may not be as compelling as Krakow. 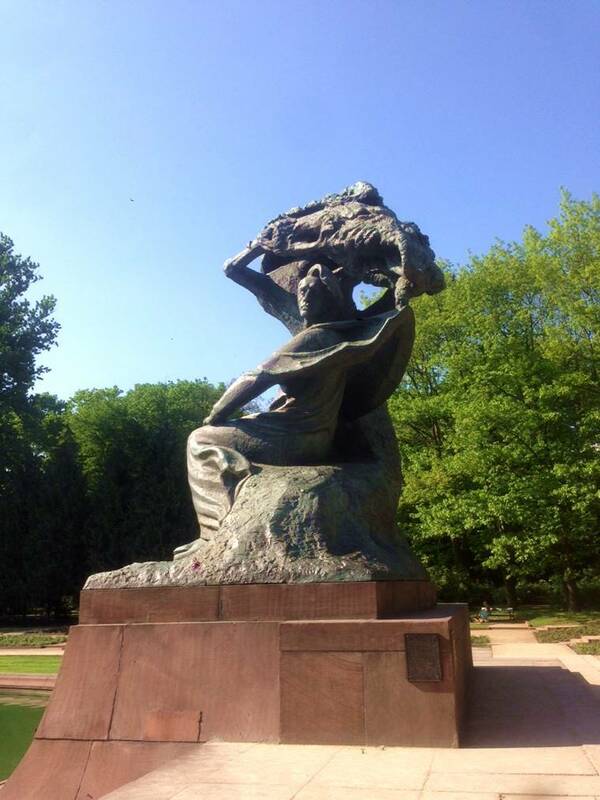 But it has Fryderyk Chopin. The city’s most famous personality wasn’t born here, but his genius was discovered and nurtured in Warsaw’s salons, churches and concert halls. He learned to play the piano here, gave his first concert at age eight, and received adoration from a smitten press. Although the composer’s remains are in the Père Lachaise cemetery in Paris, his heart lies in Warsaw, quite literally. And so, armed with a guide book and an app, I set out to discover the genius in the city that was once his home. I first stumbled onto one of Chopin’s resting places by accident. Walking along the Krakowskie Przedmiescie, I took a pit stop at the Holy Cross Church. In the early 19th century, this baroque church was the largest Catholic place of worship in Warsaw. It was packed with tourists admiring the church’s plain white pillars, one of which had Chopin’s heart interred within it. The pillar itself is simple, with a carved bust of the composer and two cherubs. The church was significant to the Chopin family — Fryderyk’s sisters, Izabella and Emilia, were baptised in it. A little down the road is the 17th century Visitationist Church, built for French nuns, that has survived World War II with a majority of its original furnishings intact, including a rococo boat-shaped pulpit. It was here that Chopin played the organ, still in place, as a pupil of the Warsaw Lyceum. In those days, the Saxon Palace complex housed the school. Chopin’s father was a French language teacher and the family lived in the staff quarters. It was here that Chopin composed his first pieces with the aid of his father and a teacher. As I leave the church, Chopin’s Largo in E Flat Major suddenly fills the evening air, mellowing out the sounds of traffic and chatter. The source is, surprisingly, a black stone bench. These benches — 15 in all — are spread through the city and act as musical signposts to signify important sites in Chopin’s life. Designed by Jerzy Porebski, these benches come with a button, which plays music for 30 seconds; a route map and an explanation (in English and Polish) about the site’s relevance. The best part though is that the benches have photo codes, which gave me access to an instant audio-visual Chopin guide, and other melodies. 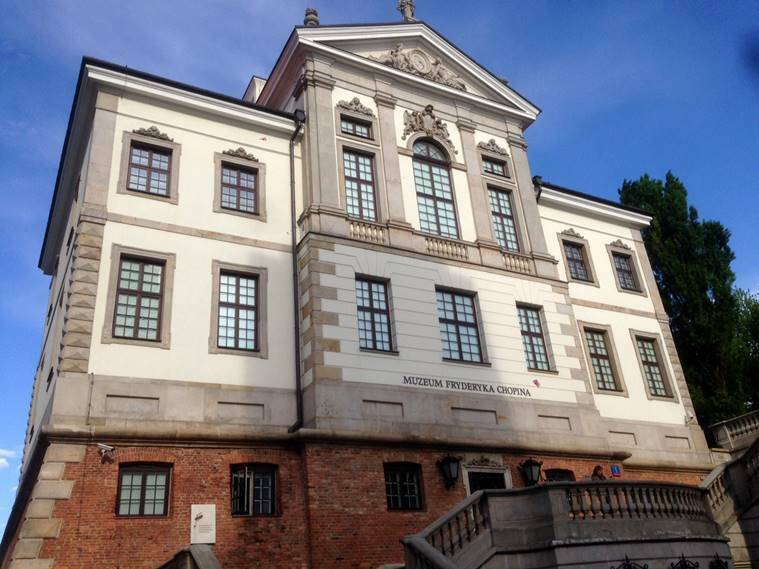 The Chopin museum, that opened in 2010, is a four-floor structure in the Ostrogski Palace. It houses the largest collection of Chopin memorabilia in the world. The multimedia rich museum has e-books, audio-visuals, and touchscreen options to choose from. There are games too — on one floor is a musical version of Twister, that had me creating my own compositions. I spent the most time, though, learning about the women in his life — and there were many — through photos, letters, sketches and notes. There is also a detailed recreation of his Paris drawing room, with the Pleyel grand piano, which he played in the final two years of his life. The Lazienki Royal Park is a stunning palace and garden complex in the city centre, built in the 17th century as the summer residence of Poland’s last king. It is also home to arguably the city’s most iconic structure, Waclaw Szymanowski’s 1926 Chopin monument. It shows him sitting beneath a willow tree, with an eagle’s head at one corner. The sculpture was one of the first structures to be demolished by the Nazis. Every year, concerts are held at the foot of this monument. When I visit, it is filled with tourists. It is easy to imagine pianists filling the park with sweet melodies in front of a captive audience, while Chopin watches benevolently from above. Former Rectory (now, University of Warsaw): The Chopin family moved there in 1817. Today, it houses the faculty of Oriental Studies and the Institute of Art History. On the first floor is a bas relief depicting the composer. Jablonowski Palace (then city hall): Singer Angelica Catalani (called the Siren of Europe) heard a young Chopin play and was so enraptured by his performance that she gifted him a gold pocketwatch bearing the inscription: ‘January 3rd 1820 — to the ten-year-old Fryderyk’. The Blue Palace: In Chopin’s time, aristocratic salons were where artistic life flourished. The Blue Palace housed the most eminent of them all and Chopin performed there often. Belvedere: The Belvedere, the Grand Duke Constantine’s residence, was another venue where Chopin’s performances were much admired. Kazimierzowski Park (Botanika): Located near Kazimierzowski Palace, it was used by Warsaw Lyceum students for gardening. Later, it was converted into a recreation park.